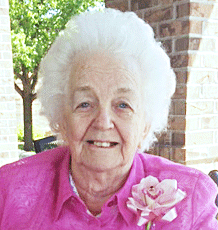 Margaret Ann “Peggy” Schmitt, 93, of Elgin, NE, passed away Wednesday, October 18, 2017 at Faith Regional Health Services in Norfolk, NE. A Mass of Christian Burial will be 10:30 a.m., Monday, October 23, 2017 at St. Boniface Catholic Church in Elgin, NE with Rev. Kevin Vogel officiating. Interment will follow in the parish cemetery. Visitation will be 5-7 p.m. Sunday at the church, with a 7:00 pm wake service. Huffman-Levander Funeral Home of Elgin, NE is in charge of arrangements. Condolences may be sent to the family at www.huffmanlevander.com. Peggy’s full obituary may be found at huffmanlevander.com and will be included in the upcoming issue of The Elgin Review.